I was admittedly late to the Scott Pilgrim party, but as soon as I started reading I couldn’t put it down. 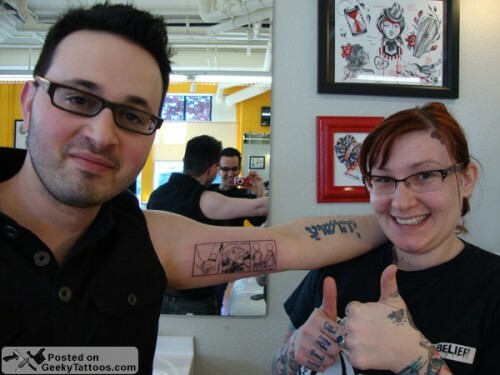 The tattoo itself is a custom composition of my own, putting together a few Scott/Ramona panels. 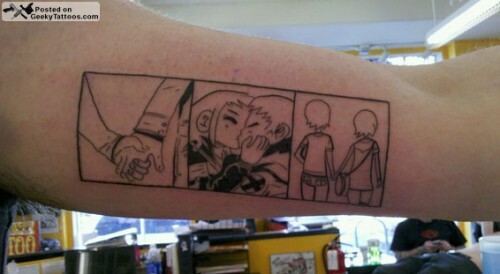 Tagged with arm, Karina, One Shot Tattoo, Scott Pilgrim.